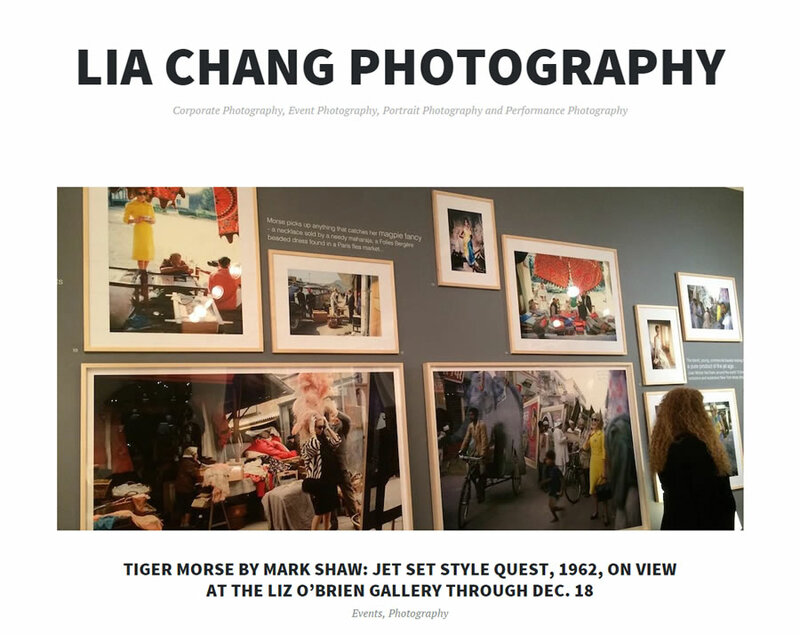 Tiger Morse by Mark Shaw: Jet Set Style Quest, 1962, currently on view at The Liz O’Brien Gallery through December 18th, is a time capsule of photographs by Mark Shaw of the wildly innovative fashion designer Tiger Morse, known as much among style insiders for dropping out of the fashion business than for contributions to it. . . The exhibition is curated by design historian Alan Rosenberg with the Mark Shaw Photographic Archive. The show runs from November 5th to December 18th 2015 at Liz O’Brien, 306 East 61st Street in Manhattan. My pal Pat Suzuki, a singer and actress who starred in the original Broadway production of Flower Drum Song and is considered an Asian American pioneer in the performing arts, was Mark Shaw’s second wife. Read the full story at LiaChangPhotography.com.